Tattoos are something which can look really appealing or gross at the same time. People get a little skeptical while getting themselves tattooed. Getting tattooed on your body means that it is something which will stay on your body for some time. Depending upon the type of tattoo, there are basically two types of tattoos, permanent tattoos or temporary tattoos. The tattoos which are made on tongue are mostly permanent tattoos. 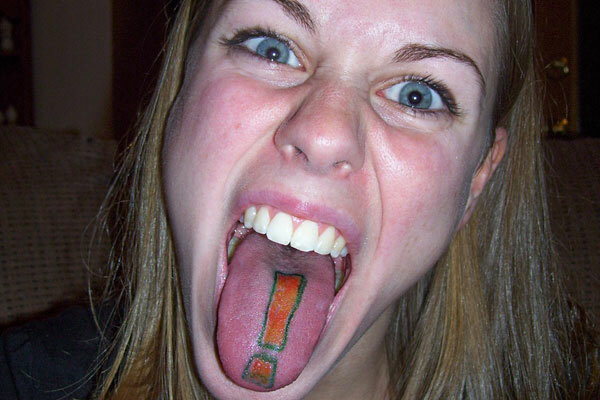 Let’s find out 10 of the best tongue tattoo designs for women. Before we begin, let us beware you that some of these tongue tattoo pictures and designs may disturb you. So, viewer’s discretion is advised! Now, before you begin seeing the images of these amazing tongue tattoo designs, tell us whether you have ever got yourself a tattoo or not. Comment below! Patterned tattoos have always been in trend. Whether you’ve just started to think of getting tattooed or you’ve been thinking about it for long, continue pattern tattoos are the first to come in someone’s mind. The graphics or the designs in continue pattern tongue tattoos are very plain or minimalistic. The patterns are very similar to the ones we can find in Henna Mehndi designs. You shouldn’t feel surprised when you find someone with a continue pattern tongue tattoo because they’re the ones who are making the most use of their tongue. 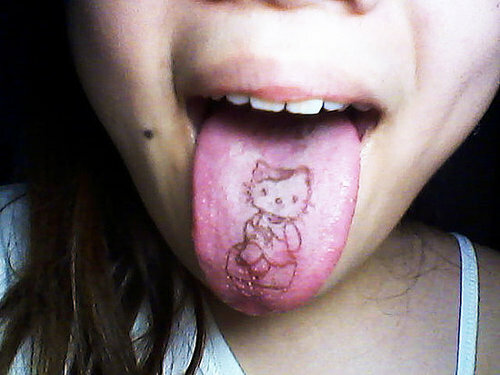 The reason why people are inclined towards Hello Kitty Tongue Tattoo is because of its cuteness. They say, “you speak well when good things get inside of you.” So, some people believe that when they’re getting tongue tattooed, they must get something which has a positive meaning to it. As we’re talking about women in this blog, so that’s why Hello Kitty tongue tattoo was included in this list. 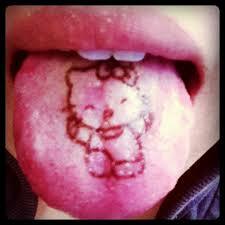 Now as Hello Kitty has a positive and cute aura, so that’s the reason women are more likely to get this amazing tongue tattoo. Now some people are very – and we mean very – skeptical about some dates in their life. 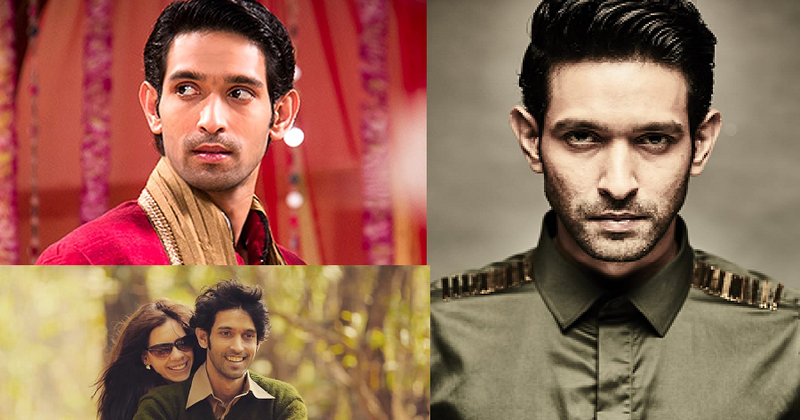 Be it their birthday, first date, breakup, graduation date or any other date which is very important to them. Now, women are known to be the ones who are amazing at remembering dates. Hence, dates tongue tattoos are very popular among women. This is also one of the most made tongue tattoo designs for women. The reason why most of the people get a date tongue tattoo is because they want to feel the pain and the ticklish feeling the tattoo making procedure gives them. Hence, number tongue tattoo or dates tongue tattoos are in fashion. Women are known to be good food eaters. 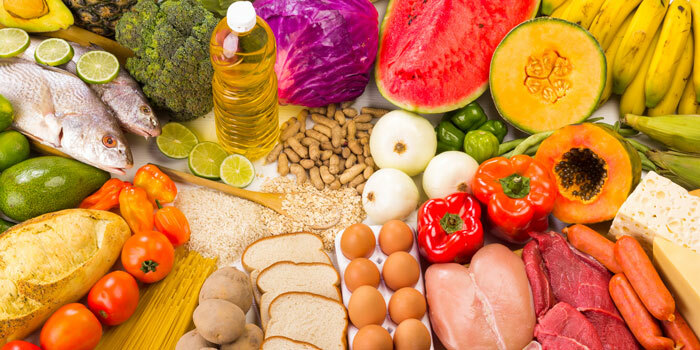 Food is something which is known as a woman’s best friend. Hence, this tattoo! Lick tongue tattoo is one of those tongue tattoos for women who like to eat or gluttony women. 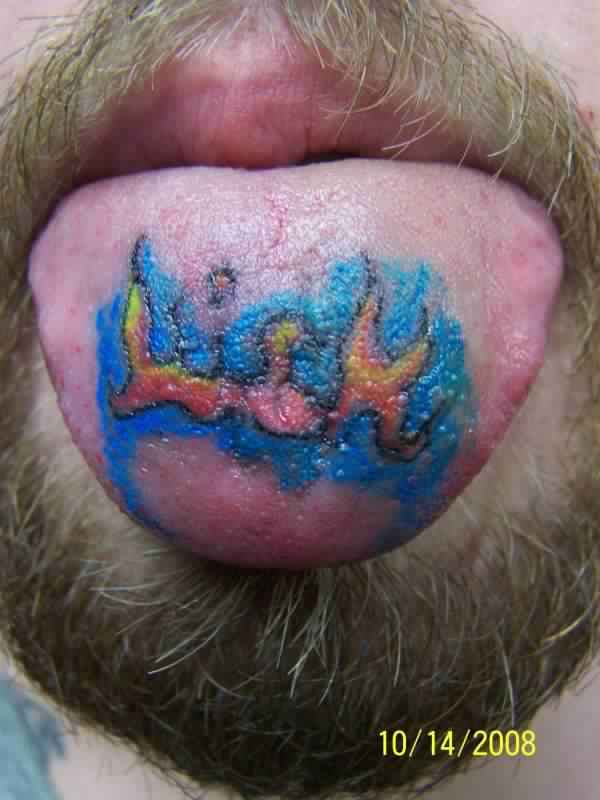 Whenever someone with a Lick Tongue Tattoo would show their tongue, people would go crazy as they’d not know what to “lick”. Haha! Jokes apart, Lick Tongue Tattoos are a must to consider for women considering having a tongue tattoo. Now Portrait tongue tattoo is something which can go to a new level of tattooing. For all those who’d have never had a tattoo before, they might think of this as a crazy act. But in reality, there are people who might be having some good memories of someone and thus they get compelled to get this portrait tongue tattoo. Women are known to be having a great emotional response to everything. There’s a reason why call it mother nature and not father nature. Women tend to have an emotional touch with their surroundings. Hence, portrait tongue tattoo designs for women are also in trend. Tongue tattoos have something appealing of its own kind. 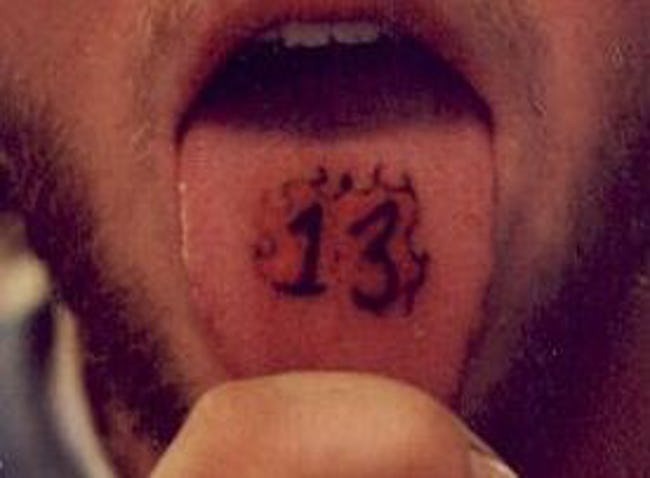 One such tongue tattoo is Dude tongue tattoo. Mostly men go for this tongue tattoo. 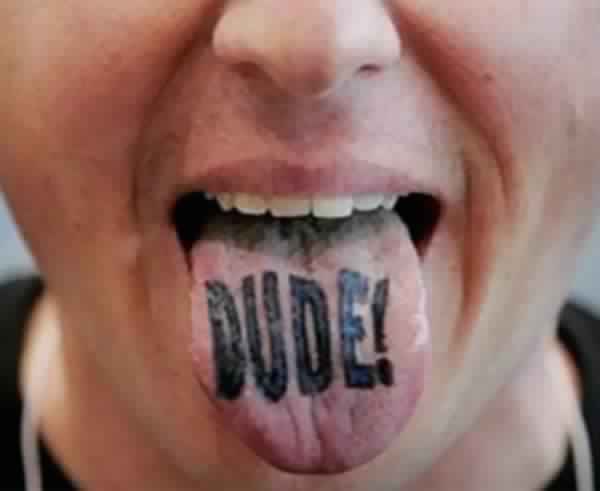 But, as these days, there are a lot of tomboys and feminists who are trying to become more like or do what men are doing, they are also getting Dude tongue tattoos. The main highlight of this Dude tongue tattoo for women is that women who get this tattoo become the main bosses of their group. Well, this tattoo isn’t for everyone – for sure. Hence, the ones who are getting this tattoo are for sure the most badass ones! Well, like we’re talking about tongue tattoo designs for women, here we come to flowers. Flowers are something which girls do like (by their nature). 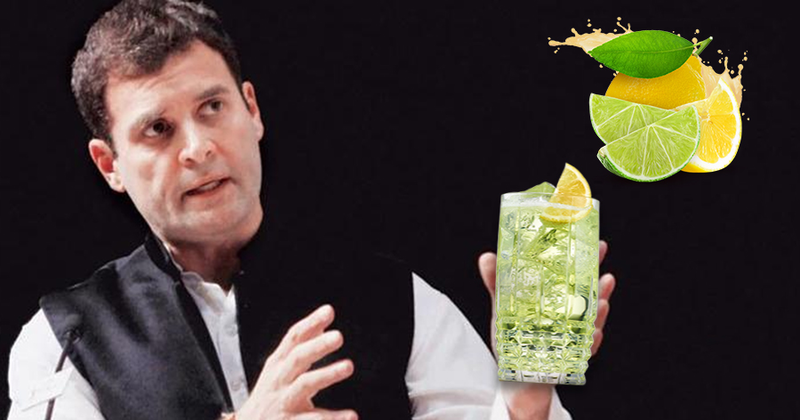 So, when you’re talking about women, flowers are something which might come to your mind. 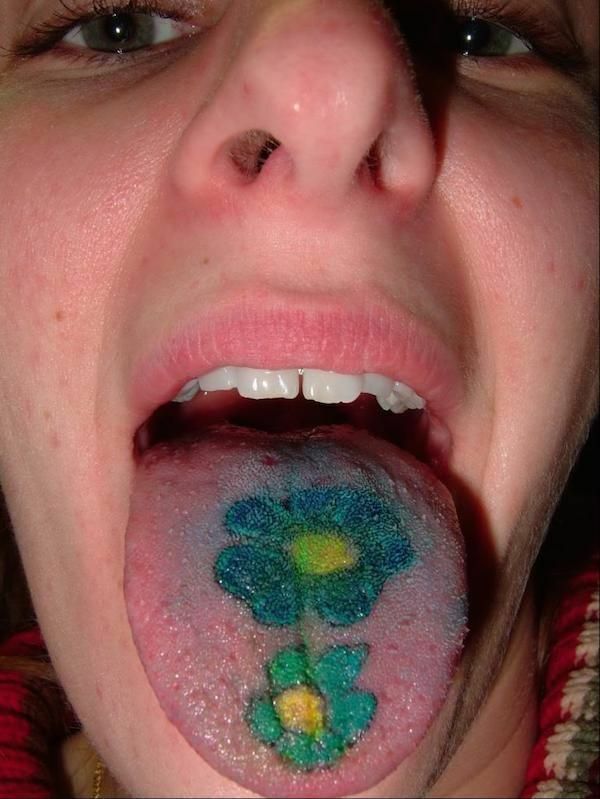 Hence, flower tongue tattoos are something which we recommend. The way tattoos have been conceived by the society, after getting a flower tattooed on your tongue, they’re never going to get offended. For sure. This is so far the funniest tongue tattoos for women. You just have to get the words, “OMG” tattooed on your tongue. So, the next time when you tell someone that you’ve got a tattoo on your tattoo, their reaction would be the same as your tongue says. Haha! 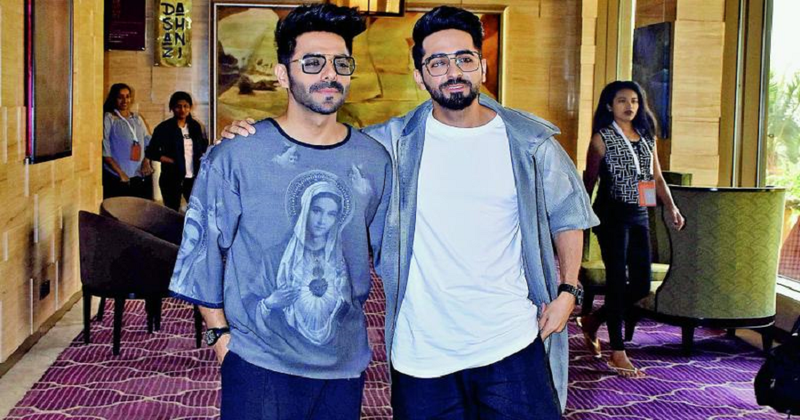 So, we hope that the way we had fun while writing this blog, you also had the same fun while reading it. If you guys really liked these tongue tattoo designs for women, then don’t forget to share it. Bookmark our website or turn on post notifications to receive regular notifications whenever we post something new.